“Highly recommend! I came into the home buying process with little to no knowledge of what all it entailed. Ronda was extremely helpful through every single step and continues to check in on me even after closing. Not just trying to make a quick sale, she truly wants what is best for her clients. 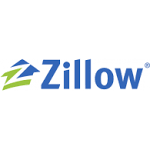 It would be difficult to find a better agent or real estate group in the area!” – S.L. “I was afraid of starting the house buying process, but I needed help. I liked a few houses online and signed up for updates. Kelly Hager Group contacted me and invited me to come in and talk to them. I had the best experience working with them. Janie Debacker is a great agent. Very patient, knowledgeable and helpful. The group as a whole made me feel comfortable enough to trust them to help me get into my home. THEY DID IT!! And the process was smooth. I would use them again if I needed to in the future. I love my home!! – R.R. “Our agent Tracy Kirkpatrick was fantastic. She was patient, knowledgeable and diligent in finding a home in the area we were looking and at the price point we needed. I would highly recommend her to help others find a home in the St. Louis area.” – M.K. “Loved working with Jamie!!! She found us the perfect house. She got us the best price and the seller chose our bid due to her expertise on making the best bid and relating our story to the seller. We could not have had a better realtor than Jamie. Thank you so much Jamie!! !” – C.L. “Omg! Where do I start? Tracy was amazing to work with then we got to work with Jessica, amazing! Both these ladies made the process of buying a home super simple and easy for us as first time home buyers. Both of these amazing ladies where super helpful and walked us thur the process step by step and always just a phone call/email/text away. I can’t wait to buy my next home with these ladies! Highly recommend to any and everyone!” – C.J. “Were willing and eager to help us find a home long-distance. Janie was great in going from home to home in the St. Louis area, taking videos and giving feedback to us in Oregon. We found our home..much thanks, Janie!” – B.W. Our business thrives on reviews and we would really appreciate one written by you! It shouldn’t take more than a minute or so to complete. Click on one the platforms below to write a review! Thank YOU!